As leader of the commercial litigation team, Simon provides services to a range of clients including high-net worth individuals and privately owned companies. Much of his work is for international clients and involves working with lawyers in other jurisdictions to resolve commercial disputes both in this country and abroad. Simon heads up our relationship with TAGLaw. He was instrumental in setting up the TAGLaw team at Boodle Hatfield, which meets once a month to discuss TAG related matters, TAG Exchange (an opportunity for trainees and assistants to spend time in other member firms), and the TAG Next Generation events, which provide an opportunity for more junior solicitors to get to know one another. 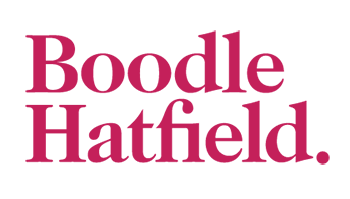 Simon trained and qualified with Boodle Hatfield. He became a partner in 1997 and head of the litigation department in 2004. "'He is a client-facing, no-nonsense, sensible pratitioner who provides sound advice'." "He is very good. In terms of litigation in art disputes, his is one of the names that pops up all the time. He really stands out." "He is very hands-on, very attentive to client needs and takes a realistic and pragmatic view of litigation"